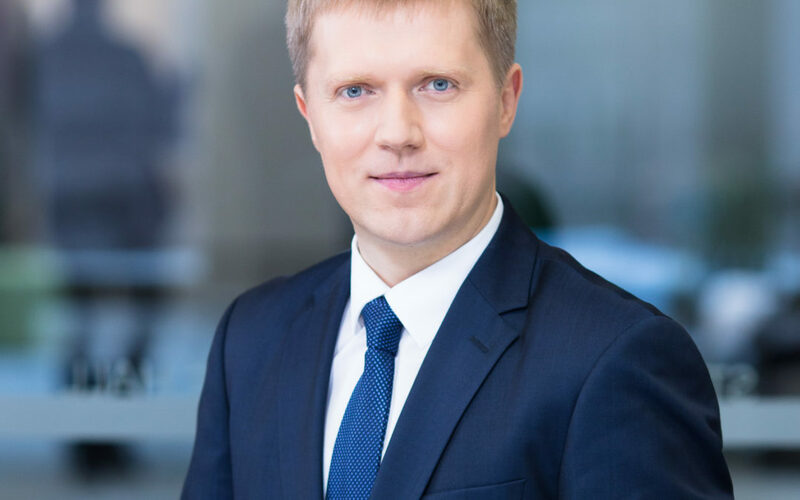 In the below interview, the CEO of EPSO-G, Rolandas Zukas, explains the impact of the regional cooperation on the energy sector from Lithuania, as well as describing the achievements from the last months in terms of security of supply, gas and electricity. From the LNG terminal in Lithuania’s Klaipėda port, to under-the-sea energy bridge with Sweden NordBalt as well as electricity link with Poland. What do you want to accomplish as a CEEP member? Nowadays when the future is happening faster than ever, we all in the energy sector have no other option than to work closer to tackle shared strategic energy challenges, but opportunities as well. In this respect, we see our membership in the independent industry body, CEEP, as a way to assist the EU once it takes legislative moves towards further diversification of its energy routes and sources, particularly across Central and Eastern Europe and the Baltic countries. Which should be CEEP’s priorities for the next years from your perspective? EPSO-G, Lithuania‘s state run holding of electric energy and gas transportation systems, has long been looking for efficient ways to diversify from what it used to be a historical dependence on monopoly gas supply from the East and isolation of its electricity and gas networks from the neighboring European markets. The situation has drastically changed over the past 18 months. Lithuania welcomed the arrival of the „Independence”, a floating liquefied natural gas import (LNG) terminal that marked the end of country‘s reliance on gas supplies from a single source. That affected positively gas prices for consumers and businesses. The under-the-sea energy bridge with Sweden NordBalt as well as electricity link with Poland opened the market for more diversified electric energy supply, competition and lower prices for end-users. But at the same time, these positive developments on the local market exposed the importance of diversification not only of the energy sources, but also the routes that would contribute to the energy security and trust across the Baltic countries as well as Central and Eastern Europe. This even strengthened our belief that when we talk about energy infrastructure, we have to go beyond national thinking lines – be it gas or electricity lines. We believe it is the efficient cross boarder cooperation that opens fresh energy delivery options for producers, suppliers and consumers, and also helping each neighbouring economy to utilise its national assets better. This is the main message of CEEP as we hear it. The new lengthy legislative package of the European Commission, Clean Energy for All Europeans, was described by some as a “policy dream” from Brussels that does not match the reality on the ground. Would you agree or rather disagree with this? We recognise that energy business has an impact on the environment and we work hard to understand, measure and manage our environmental impacts to contribute to clean energy transition in Europe. At the same time, we also feel that going ahead towards this worthy goal we have to strike a right balance of action. Lithuania’s ambition is to become a regional energy hub and you, as EPSO-G, are at the forefront of this aim. How close are you of getting there? During the installation of LNG terminal in Lithuania’s Klaipėda port, the first of its kind in the region, and linking it to the extended gas transportation pipeline to neighbouring Latvia, we teamed a solid organisational skill, competence and legislation building know-how that we are ready to share with our regional partners. Particularly now, when we have crystal clear first-hand evidence how the projects of the kind trigger market competition and scale down energy prices to end-consumers as a result – natural gas prices of the what used to be the sole gas supplier from the East went down by more than 20% this year, to levels close to those charged to customers in Western Europe. Another great example of beneficial regional cooperation was our newly built power grid to Poland (LitPol Link) as well as the under- the-sea NordBalt power link to Sweden that teamed the three Baltic countries, Poland and Nordic markets. In mere months of operations, it resulted in more competitive energy prices to end-consumers in our region. That explains very well our drive to extend both gas and electricity links with Poland and neighbouring Latvia and Estonia including energy grid synchronisation with continental European electricity network. And I am extremely happy to see that once we talk closer cross boarder co-operation, our partners in Poland, Latvia, Estonia and us, we are all increasingly speaking the same language. What steps should be taken in order to overcome the energy isolation of the Baltic countries? The two projects I already mentioned illustrate that by having the right attitude, cross-boarder infrastructure and proper legislation in place across the region, it can only be beneficial for the entire region.